Guest Post - Oatmeal After Spinning! Hey everyone! My name is Lauren and I have a blog called Oatmeal after Spinning. 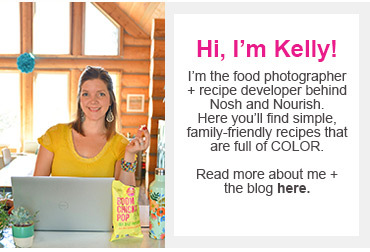 I was lucky enough to stumble upon Kelly’s blog a couple of months ago and have been in love with it ever since! I’m so excited to finally be meeting Kelly at Blend this weekend- but I honestly feel like we’ve known each other for years already! It comes in all forms. I get it from my husband, my family, my friends and even my dogs. Having people (and animals) that are there for you and accept you for who you are without judgment is a very powerful thing. My husband, Greg, has seen me at my absolute best and worst, and loves me unconditionally (and some days I give him A LOT of credit for that). He doesn’t care that I’m not perfect, and shows me (and tells me) that he loves me often. We have our issues, good days and bad days, just like everyone else. But, we are always able to get back to the root of our relationship and focus on why we fell in love in the first place. If you are a reader of my blog, you will see them on an almost-daily basis. Greg and I adopted them in January 2010 when they were just 8-weeks old, and can’t believe they’re almost 2 ½ now. (Where does the time go?) It’s been a lot of work raising these two rambunctious boys, but I’ve enjoyed (mostly) every minute of it. I’ve always been a dog lover, but these two are my first dogs that I’ve owned as an adult, and they are truly my babies. No matter how horrible my day is and not matter what else is going on in the world, my problems seem to melt away when I see these two faces greeting me when I come in the door. I'll proudly admit it: I love food and love to eat! 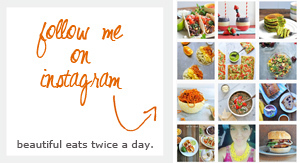 It is also really awesome to be part of a great healthy-living blogging community of women who just get it when it comes to food. I'm being 100% honest when I say "I love to exercise." I really, really do- it plays a huge role in my life. And if you had told me even ten years ago that I would EVER utter those words, I would have looked at you like you were crazy. I didn't "get the bug" until I joined a gym with a friend that I met at work back in 2003. We would go work out together at lunch, and I always liked how it gave me energy for the rest of the day. Shortly after, I started taking group exercise classes and running outside- eventually running 5k, 8k, 10k and half marathon races. In 2008, I became a certified Spinning instructor and started getting PAID to exercise (you can't beat that!). And just recently, I became a certified Bodypump instructor. Bodypump instructor training was one of the hardest things I've ever gone through both mentally and physically, but it made me stronger, more confident and solidified that teaching group exercise is my true passion. I've been a full-time high school art teacher for seven years, and also teach 6 group exercise classes a week. It's a pretty full schedule, but I can't complain. I can't really explain the feeling I get from leading a group of people through and intense exercise session while encouraging them to give it their all and see the determination in their faces... and how great they feel afterwards. Exercise has increased my confidence and makes me feel strong and powerful. I may not be perfect (and far from it, actually) but when I'm teaching exercise classes, I feel like I can do anything in the world. Besides teaching exercise, I just love being active. My husband got me really interested in doing things outdoors like hiking, mountain-biking and kayaking- and we spend nearly every weekend doing just that. (It's also really great to be out for a few hours with no distractions!) We even spent our honeymoon exploring the great outdoors in the Pacific Northwest for two weeks last summer! So there you have it- three things that are essential for happiness in my life. Thanks for stopping by and finding out a little bit about me! What are a few of your “essentials” for a happy healthy life?